Not all longboards are made to cruise. The HPLB is designed to create speed and attack waves with the same maneuvers you see from shortboarders. Continuous rocker running nose to tail makes it sensitive and quick in the pocket and ready to turn on rail out on the shoulder. To assist in the turning and provide hold, the HPLB has beveled rails in the nose with 40/60 rails through the middle to shortboard-like hard edges in the tail. The nose area has a slight bit of concave that runs through the board to the tail area which has double concave with vee set inside. The HPLB is available in stock or custom dims in lengths between 8’ and 10’. Advanced level or lighter riders can order thinner (starting at 2 1/2” thk) for increased sensitivity. For another level of performance, we suggest our RET (stringered EPS/Epoxy) construction for reducing weight while adding strength. 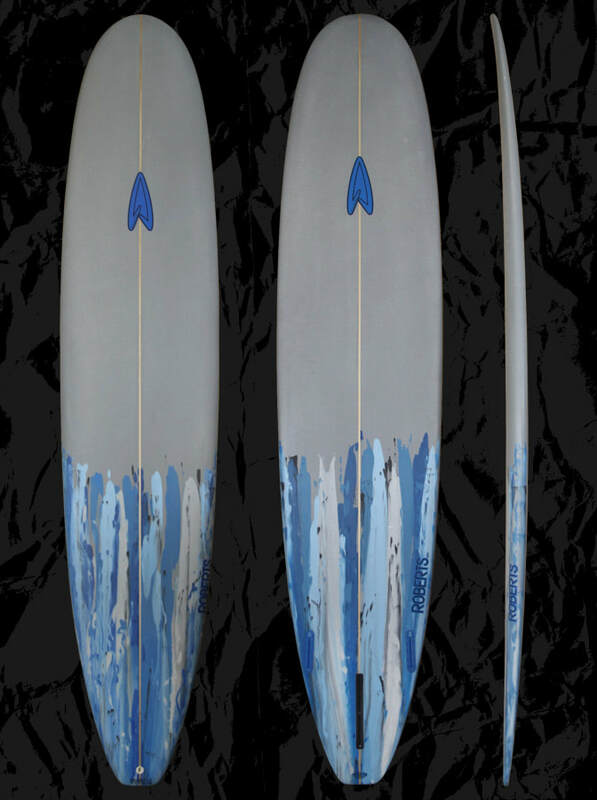 Slight concave in the nose that runs through the board to double concave with inset vee in the tail. Box Plus Two to ride as a single with or without side bites for added hold; can also be ordered with a 5 fin setup to ride as thruster or quad. Custom dims are always available. Please feel free to use our CONTACT US form to receive more info about our boards and sizing.